Following the devastating loss of their friend Martyn Hett, London shop owner Philip Normal and Dublin illustrator Holly Shortall have come to together and collaborated to create a tribute t-shirt celebrating the iconic life of Martyn Hett, one of 22 victims of the Manchester Attacks that followed a concert by Ariana Grande at the city’s arena. 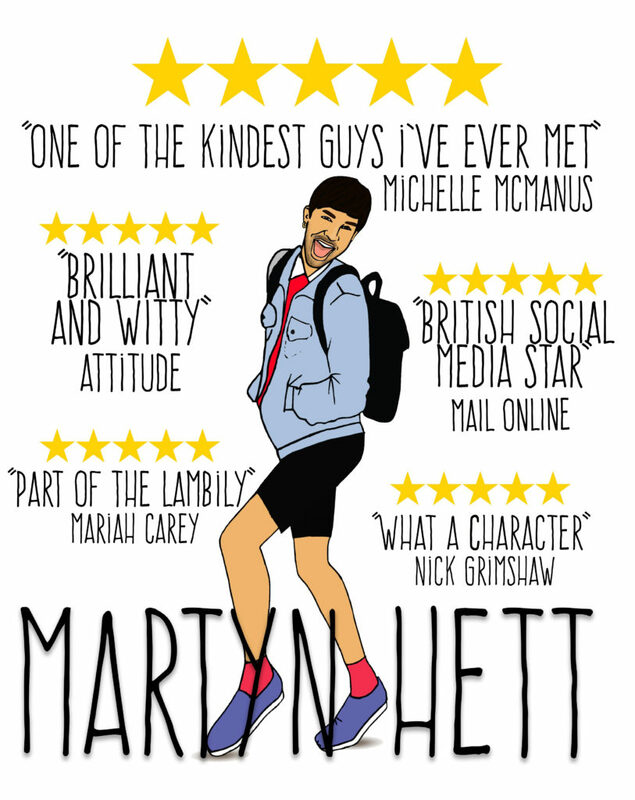 The t-shirt celebrates the impact Martyn had on the world, and features quotes from two of his most loved singers, Michelle McManus and Mariah Carey amongst others. Last week, a vigil was held at ‘Manchester’s Heaton Moor Park in Stockport in the UK where hundreds turned out to honour the life of the ‘iconic’ Martyn. Some members of Martyn’s family, including his mother, step-father and brother, wore the tribute t-shirts to the vigil, which was a celebration of Martyn’s life. T-shirts can be purchased for £25 (€29) which includes postage. For anyone outside of the UK purchasing the t-shirts, the total will be £34 (€39) including postage. Check out how you can get yours and donate here. This entry was posted in Latest News and tagged Holly Shortall, Martyn Hett, Philip Norman. Bookmark the permalink. ← FATHERS DAY GIFTS SORTED!